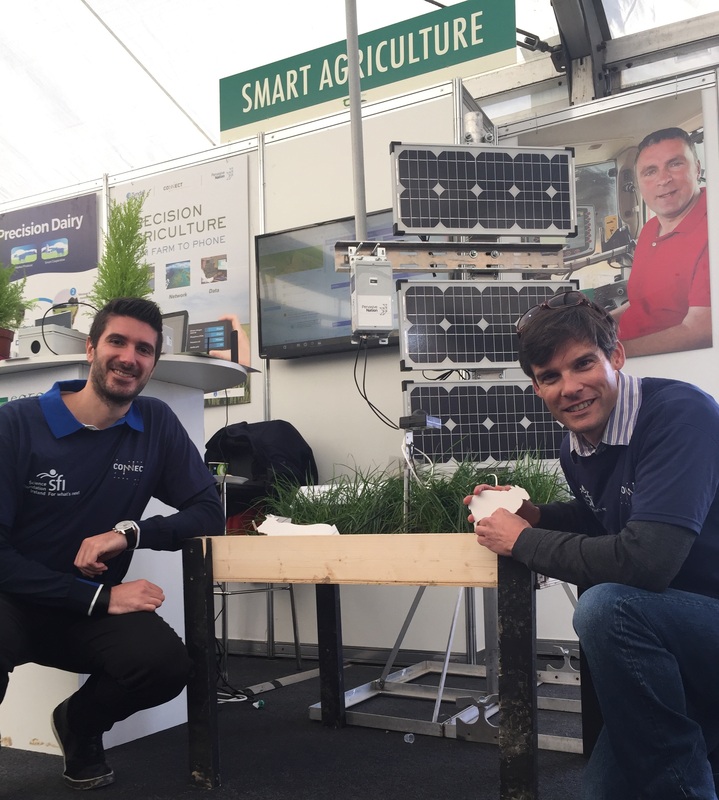 Researchers from the CONNECT Centre were on hand each day of this year’s National Ploughing Championships (20-22 September) to engage with the public about the potential of the Internet of Things (IoT) for agriculture. CONNECT partnered with Teagasc and Science Foundation Ireland to demo Precision Agriculture IoT applications. CONNECT researchers from Tyndall National Institute demonstrated their cutting edge sensors on a Smart Farm while researchers from Trinity College Dublin showed the potential of a Low Power Wide Area Network (LPWAN) using the Pervasive Nation infrastructure.